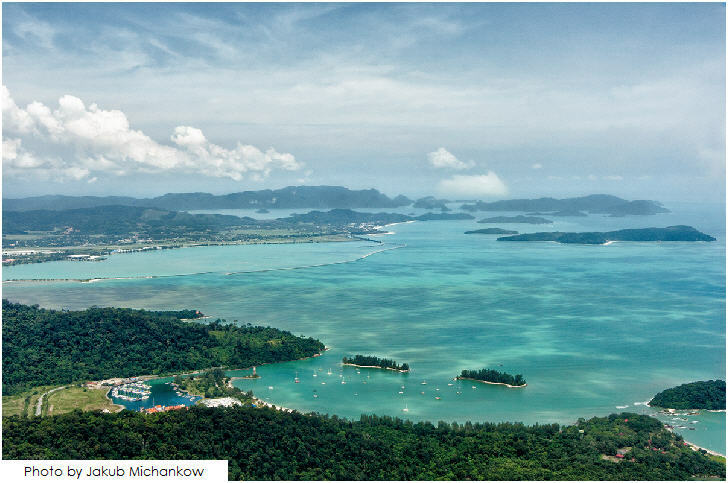 Part of an archipelago of 99 tropical islands just off the coast of Kedah, Langkawi island is as much shrouded in age-old myths and legends as it is filled with natural beauty. It has been accorded Global Geopark status by UNESCO in 2007 for its diverse and astounding geological heritage, which dates back to more than 500 million years. Langkawi is also a popular duty-free destination. For a more intimate time with nature, go trekking through the pristine rainforest that covers most of Langkawi, or go on a boat tour of the mangroves. There are also opportunities to go for a dive, or play a round of golf at some of the 5-star resorts. – Take a day trip to nearby Pulau Payar Marine Park, a popular diver’s paradise. – Indulge in a range of water sports such as yachting, sailing and jet skiing. – Go jungle trekking or just laze on one of the many idyllic beaches. – Shop till you drop in the duty-free heaven that is Kuah. – Visit the many attractions on this island, such as Taman Lagenda, Kota Mahsuri and Langkawi Wildlife Park. – Enjoy an exhilarating cable car ride all the way up to Gunung Mat Chincang.